Recently, I discovered a new app called Kitchen Table. The app lists dinners nearby your location that are hosted by various people in their homes, as a way to meet new people, try delicious food, and have great conversation! My family gave it a try for the first time, for a Mediterranean dinner. The dinner itself was incredible – there’s just nothing quite like the taste of homemade food! As we walked in, the hosts were putting on the finishing touches to the dishes while more guests were arriving. This gave us the opportunity to meet the other guests and introduce ourselves. Being new to living in Los Angeles, it was great being able to do something unique on a weeknight with my family, and making conversation and meeting new people. Something else I learned about that night was that Kitchen Table is having their very first cook-off this Saturday, March 31st 11am-2pm at the New School of Cooking Pasadena. Come for a fun, free afternoon and be an audience member at the Chopped-style cook-off! When attending the cook-off, you can taste the foods that the cooks make, and also get to vote for the winning cook. To learn more information about the event, you can visit the event page here. 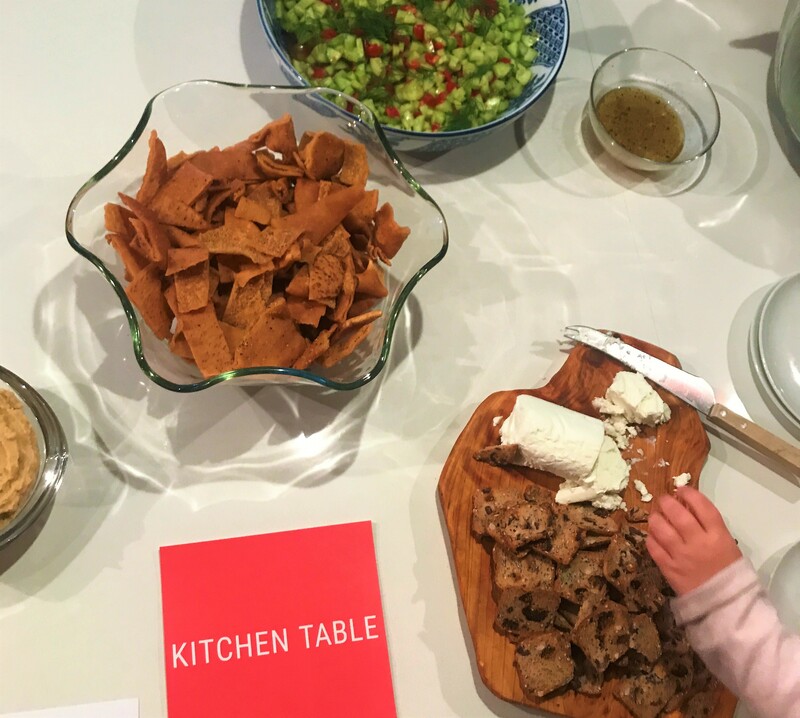 And even if you are unable to attend to watch the Kitchen Table App cook-off tomorrow, be sure to download the app and find a dinner near you, to engage in good conversation and enjoy great food! One of Our Favorite Snacks for Summer Adventures! Thank you so much, Jessica! We loved having you at our special dinner and would love to help you become a host, so that you can bring people together over a shared love of good food and great company too! We had so much fun at the cook-off, so glad you made it out to this meal! I was so happy to meet you and your beautiful family, and I hope to see you at another Kitchen Table! Cute Toy Story 4 Swim Merch to Get Ready for Summer!